TiE Lahore Chapter (www.lahore.tie.org) is an International, non-profit organization fostering entrepreneurship with 61 chapters in 18 different countries and 13,000 members worldwide. It was founded by Syed Baber Ali in 2002. The organization is housed in LUMs. 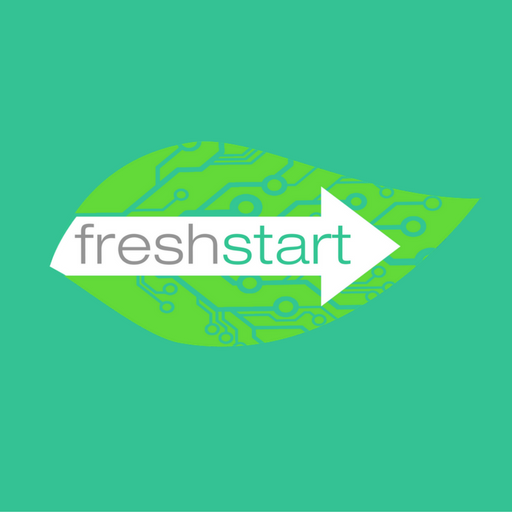 The purpose behind this brilliant NGO is to promote entrepreneurial culture among the new generation, along with providing mentorship and platforms where entrepreneurial ideas are discussed. On Friday March 10, 2017, Tie hosted a mega event, TiE Crazy –Here’s to the Crazy Ones! at Royal Palm from 6:00 pm – 9:00 pm. The objective of the event was to bring together bright minds of this country in one place to introduce them to the entrepreneurial culture by giving talks that are idea-focused on a wide range of subjects, to foster learning, inspiration and wonder, and provoke conversations that matter. The lives of the event were the six exceptional renowned people who shared their extraordinary experiences and enlightening the audience with their hard earned wisdom. These six prominent figures belong to different circles of Pakistani business yet share the same vision of passion and hard work. 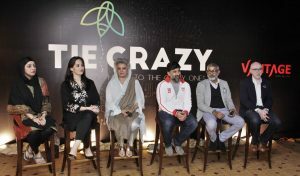 Lahore: Maryam Mohiuddin,Nuria Iqbal ,Masarrat Misbah,Adnan Zahid,R.M.Nadeem,Dr,Usman Bhatty sitting on stage during “Tie Crazy Here’s to the Crazy Ones” organised by Tie Lahore Chapter(The Indus Entrepreneurs) at local hotel. Dr. Usman Bhatty, a highly respected business professional working with Nestlé, recounted some of the profound experiences he had witnessed over his 20 years in the industry. these were found to be good hindsight for the young entrepreneurs. Masarrat Misbah, President and Co-Founder of the Depilex Smile Again Foundation, took to the stage to highlight some of the stories regarding her organization and the work she has done for countless women who have suffered disfiguration through domestic criminal assault in Pakistan. Adnan Zahid of Johnny and Jugnu fame fascinated the audience with his discussions on having a business vision and how to execute it in the best possible manner. Social entrepreneur Maryam Mohiuddin touched upon the prevalent situation of societal development in Pakistan, and how she was motivated by it to embark on her entrepreneurial ventures and academic pursuits, which turned out to be fruitful. The distinguished artist R.M. Naeem graced the audience with his visionary outlook, talking at length about his experiences as an artist and as an intellectual person which eventually helped him create his own identity and pursue his passion through his outfit, Studio RM. Nuria Iqbal, a UK-trained solicitor and CEO of Labour & Love, shared her involvement with social work in Pakistan and the kind of work she was motivated by. The event was moderated by Max Babri, one of Pakistan’s leading consultants and moderators, and through his exceptional skills, proved to be a delightfully intelligent individual with insightful experience for all those present. Mr. Humayun Mazhar, President TiE Lahore Chapter shared the future roadmap that the chapter had envisioned. The talk ended on a high note with active participation from the audience, which included academics, professionals, startup founders, and members associated with incubators and accelerators. The evening concluded with a networking session where guests were able to interact with one another and enjoy a pleasant environment. Overall, the event proved to be a beneficial congregation for the young aspired entrepreneurs.